Mimi Flys: Introducing Shoptagr - An online shopping MUST HAVE! 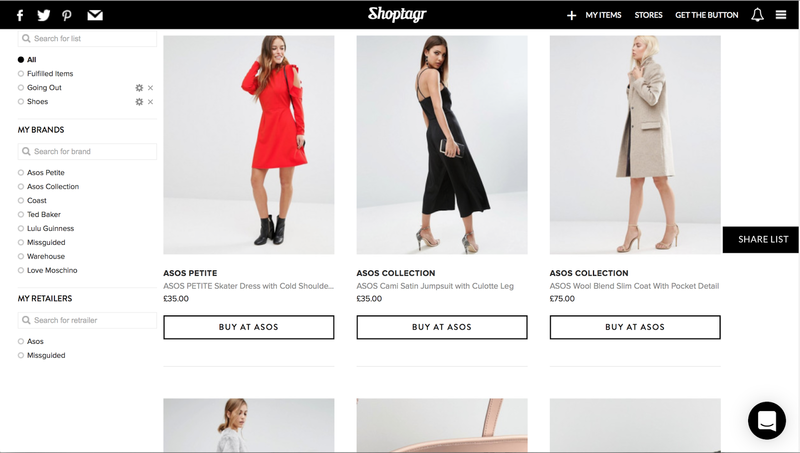 Introducing Shoptagr - An online shopping MUST HAVE! Every now and again a must have app comes along that seriously makes you wonder how you lived your life before it. Uber, What'sapp... Candy Crush. And now Shoptagr! Seriously, its just as addictive. Click HERE and check it out - its changed the way I - and thousands of other girl's - shop online forever! Shoptagr (pronounced Shop-Tagger) is a fabulous (and free!) service that lets us save our wishlist straight from all of our favourite websites (like ASOS, Missguided, even Net-A-Porter!) and immediately notifies us once the item goes on sale. 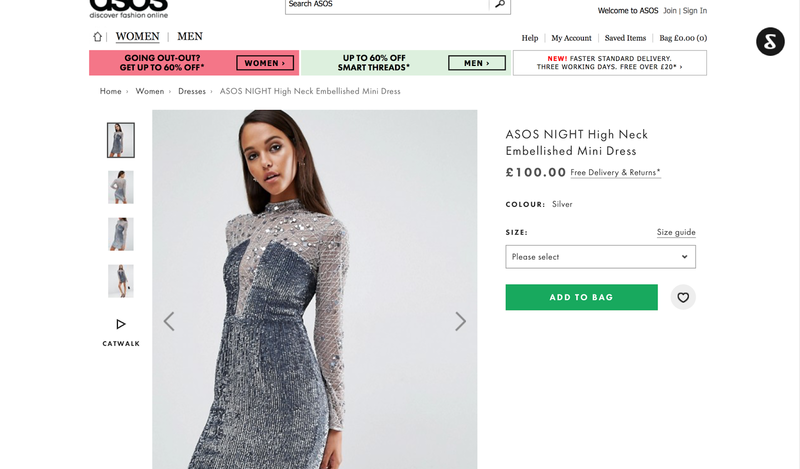 I can't count the amount of times I have bought a dress full price on ASOS, just to see it be discounted by 50% the following week - its infuriating! But by using Shoptagr, I'm able to be alerted the moment the price drops (along with any handy coupon codes) which saves me so much time, and sooo much money... and it means I'm always first to the sale! Its super easy to use, with a Pinterest-style layout that looks stunning. All of your saved items are arranged in a clean, easy to navigate way and my favourite part is being able to organise my wishlist into categories such as going out/work/accessories - whatever I like. It can be used in two ways, it either takes a second to install in your web browser by clicking here or you can download the free app from the app store. Shoptagr will then show up anytime your shopping on one of the 500 websites it can be used with. In this example I'm shopping on ASOS just like I usually would (like, erm, everydamnday). Ive lusted after this dress for a while now, but £100 seems like a lot... Now this is where Shoptagr comes in! See the black circle in the top right? Thats the Shoptagr logo, and I start by clicking on it. Now I have the option of selecting my colour and size, and when I would like to be notified. 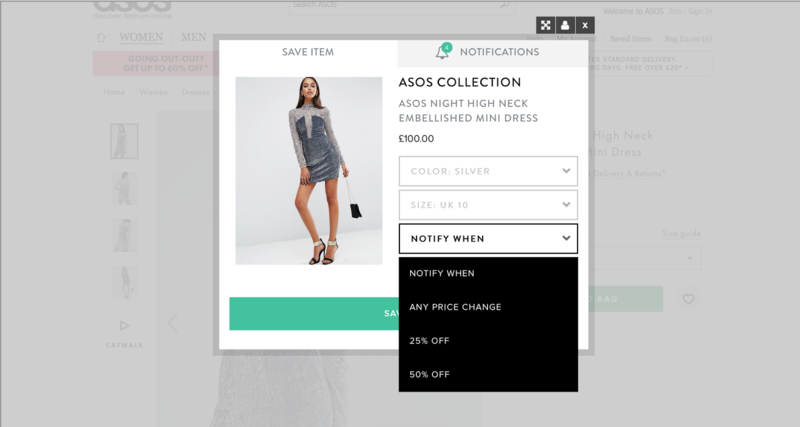 I usually choose 'any price change', and at this point I can add it into one of my organised lists, such as going out dresses! Now its safely stored away in my Shoptagr and I can rest assured that the minute this goes on sale, i'll be the first to know about it by getting a live notification. 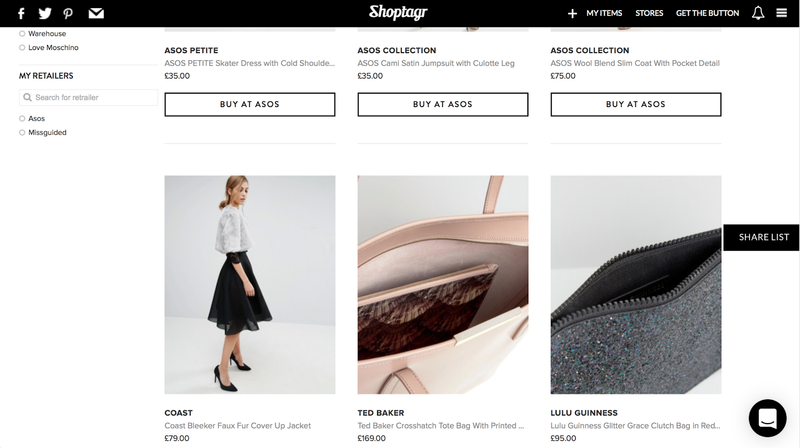 When I check out my app, or the Shoptagr Homepage - I can see the items that I have favourited all in one place and keep track of my wishlist. I can see that the dress I'm in love with is now low in stock... Being notified both when your favourite items are low in stock and back in stock is another feature of the app that I love. All of my favourite items are in one easy place, and i can organise by brand or retailer to keep on top of my shopping. I hope you enjoyed being introduced to this new must have tool for online shopping, and thank you to Shoptagr for sponsoring and collaborating on this post with me. 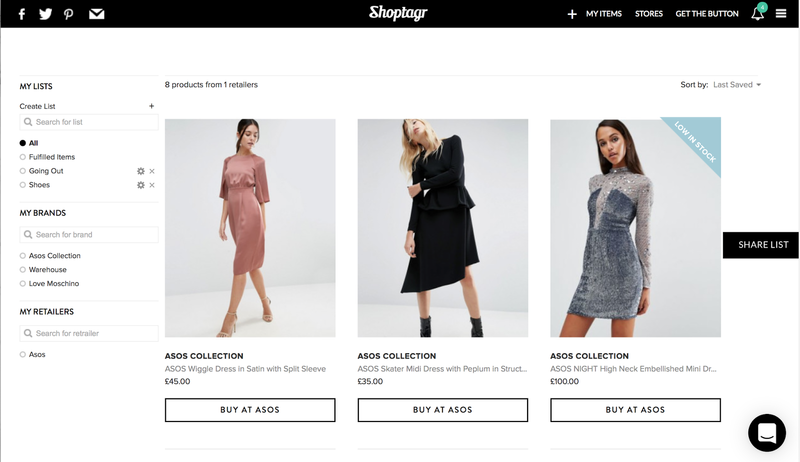 Have you tried Shoptagr yet? What items are you most coveting?